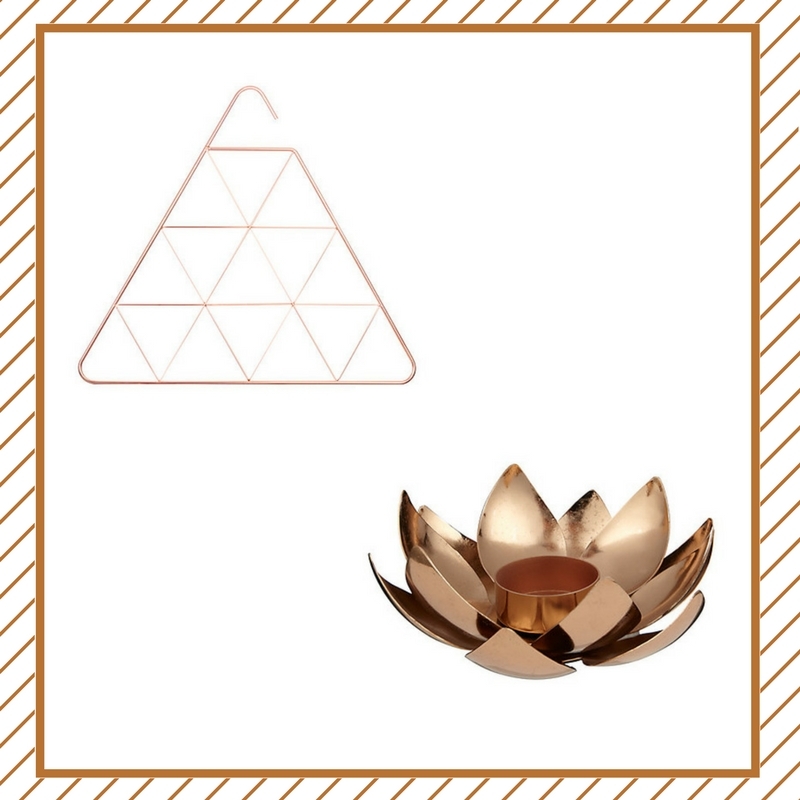 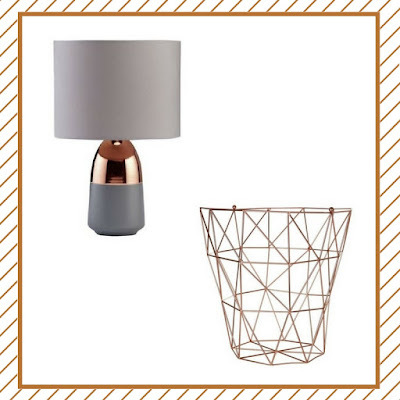 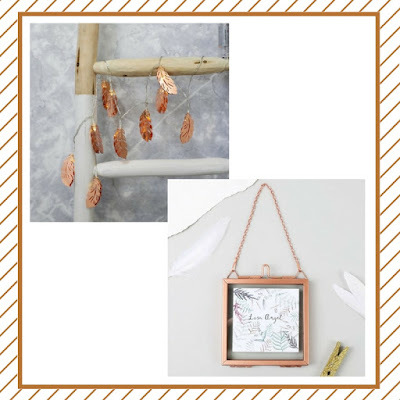 Copper has become a firm favourite with home owners and bloggers like me, in my living room it's mainly themed with grey's and black's, which can be quite dark when you first enter the room so adding copper accessories certainly adds a warm glow to my room and makes a stylish statement too. 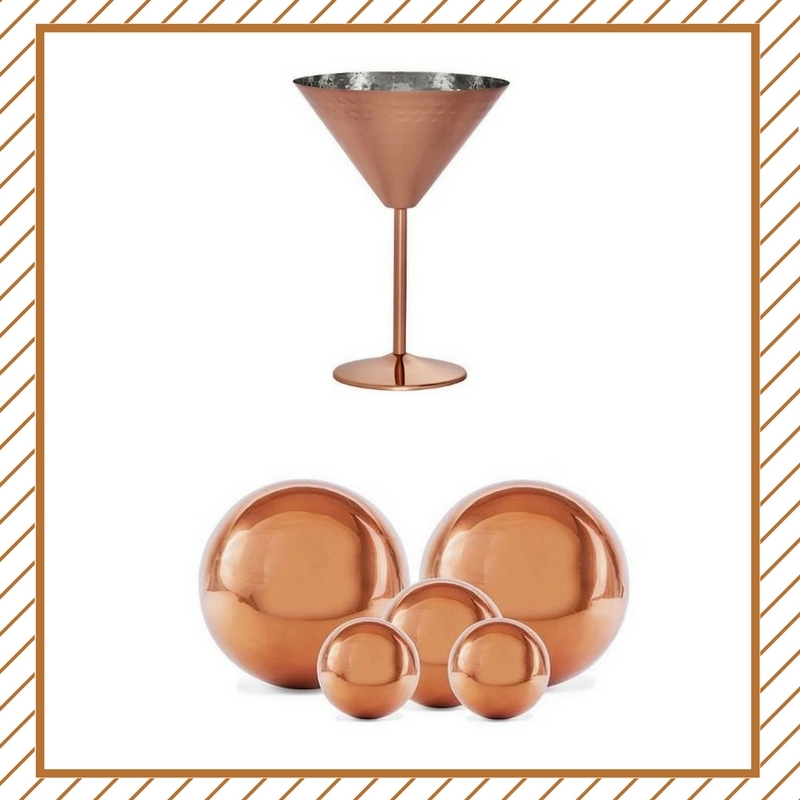 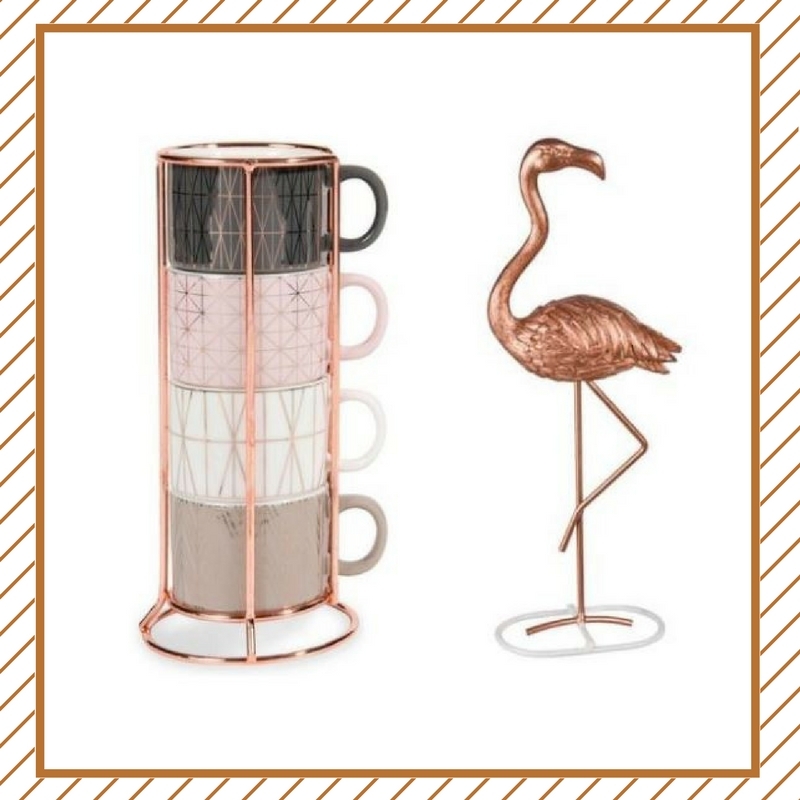 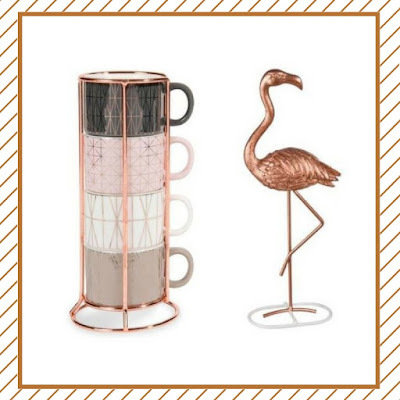 For Christmas I was very excited to receive the below copper items for my home including a lamp from Aldi, copper coffee cups and a cool cocktail shaker from M&S. 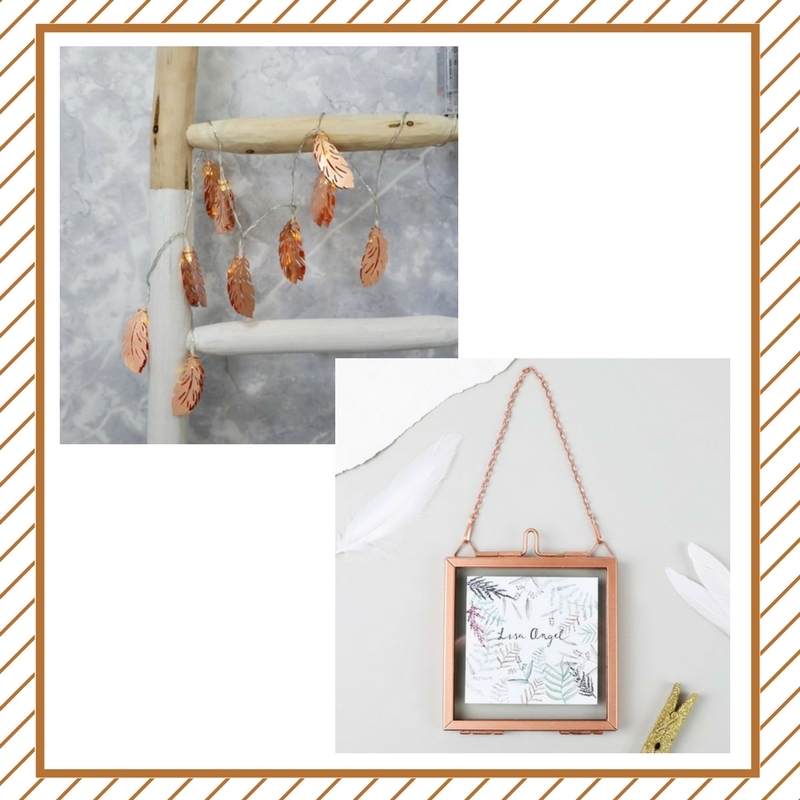 I also bought myself these copper letter shapes from Hobbycraft with mine and Blake's initials (too cute!). 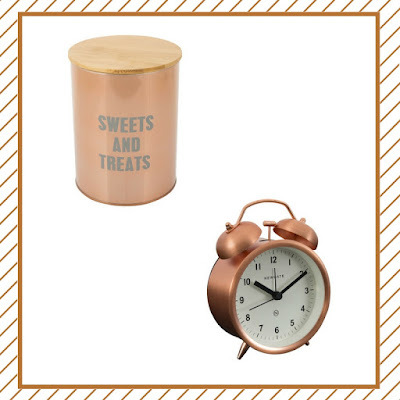 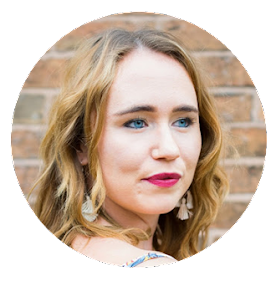 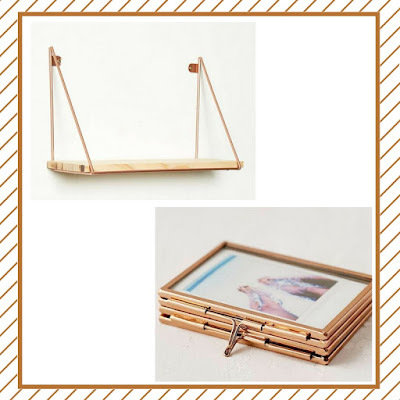 And because I think you can never have too much copper in your home, I'm sharing some more of my favourites from online, all under £30! 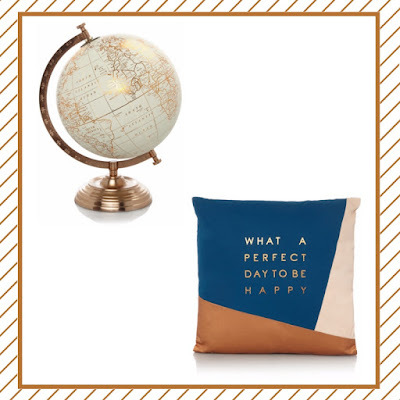 Are you a fan of the copper trend?